Those are all our updates from across Yorkshire on Wednesday 18 October 2017. 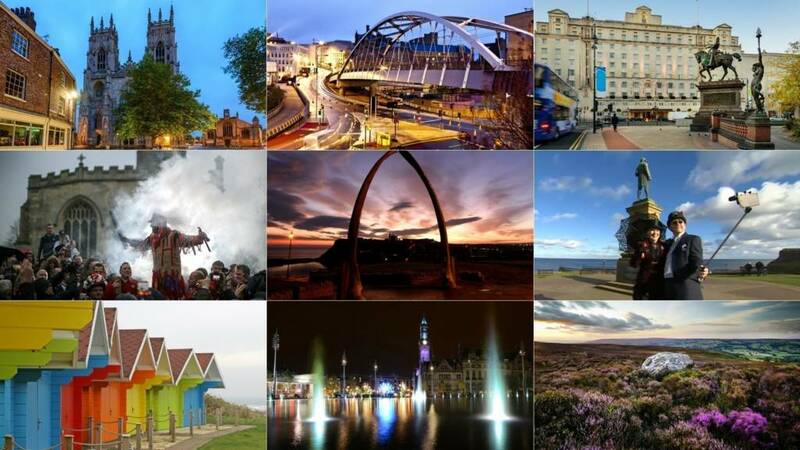 Want to find out what's happening where you live on Thursday? Just click here. M18 South Yorkshire northbound severe disruption, at J6 for A614. M18 South Yorkshire - M18 lane closed on exit slip road and slow traffic northbound at J6, A614 (Thorne), because of a broken down vehicle. 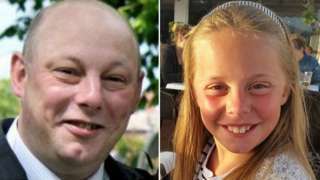 Burglar Daniel Jones set a fire that killed a father and daughter in order to destroy CCTV evidence. M1 South Yorkshire - Slow traffic and one lane closed on M1 southbound between J33, A630 (Catcliffe) and J32, M18 (Thurcroft), because of a broken down vehicle. 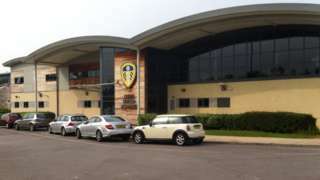 The club wants facilities closer to its Elland Road ground and to build a community sports village. 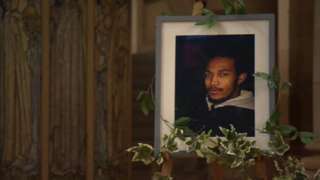 Keal Richards was filmed giving "a whoop of delight" after the death of Raheem Wilks, a court hears. A burglar has been found guilty of killing a man and his daughter by setting fire to their house in Wakefield . Andrew Broadhead,42, and eight-year-old Keira (pictured) died in the fire in October last year. Daniel Jones, 29 of Spawd Bone Lane in Knottingley, started the fire in an attempt to destroy CCTV evidence of him breaking into a house across the road. He claimed he did not start the fire or carry out theburglary at the other house in Stanley. Today the jury has cleared him of murder but found him guilty of two counts of manslaughter, and one of burglary. He's due to be sentenced on 9 November. The future of a top performing arts college has been secured after the government confirmed it is to open as a free school. Cathedral Academy for Performing Arts (CAPA) in Wakefield is regarded as one of the best places in northern England for arts training. The college feared it would have to close because it had outgrown its site. But the Department for Education said it would fund the free school from next September. Castleford Tigers have re-signed half-back Jamie Ellis from Huddersfield Giants on a three-year deal. Ellis, 28, spent two-and-a-half years with the Tigers between 2012 and 2014. He was loaned to Hull KR last season, helping them win promotion back to Super League. "Since I've been away from Castleford I've become a bit of a fan and I've really enjoyed watching all of the success that has come to the club," he told the club website. A replica of the ship Captain James Cook used to sail to Australia and New Zealand in the 1760s is to become part of a new tourist attraction in Whitby. Endeavour, based at Stockton, Teesside, was built as a floating museum for £2.5m in 1993 but was sold in August. It was acquired by a partnership led by businessman Andy Fiddler and supported by the North York Moors National Park and is expected to move to Whitby in 2018. Yorkshire-born Cook began his maritime career in Whitby. Jennifer Swift, who was legally known as Jonathan Swift, attacked Eric Flanagan, 26 (pictured), with a kitchen knife and a broken shovel at a house in Balby, Doncaster, on 15 November. A woman from Huddersfield has been sent to prison for 12 years for her part in a cocaine smuggling operation. Gillian Welldrick of Alton Avenue in Huddersfield was caught went she went to meet Andrew McCollin who she used as a drugs mule at Manchester Airport. McCollin had flown in from Barbados and had cocaine worth £115,000 strapped to his chest under his shirt which was revealed when Border Force officers stopped him. Weldrick was also arrested at the airport, and the National Crime Agency later found that she had paid for and arranged McCollin’s flight from Barbados. In this case the criminals were bringing in cocaine but once set up, smuggling routes can be used to bring in everything from firearms to victims of modern slavery." M62 West Yorkshire eastbound severe accident, between J33 for A162 and J34 for A19 Selby. M62 West Yorkshire - Slow traffic and one lane closed on M62 eastbound between J33, A162 (Ferrybridge Services) and J34, A19 (Selby), because of an accident. A man has been found guilty of manslaughter after a father and daughter died in a house fire in Stanley, near Wakefield. Leeds Bradford Airport has been sold to an Australian investment company. AMP Capital has bought 100% of the airport from its previous owners Bridgepoint Advisers Limited. The airport sees four million passengers through its doors every year. The company is talking about "improving the customer experience" and adding routes to the departure boards. Leeds Bradford Airport is a highly attractive investment and a great fit for AMP Capital’s global infrastructure platform." It's just a small heritage railway station near Northallerton, but it's now been named the Best Historical Education Programme in Britain. The site at Scruton was refurbished by volunteers three years ago so children could step back to 1917 and find out what it would have been like during the first world war. It beat entries from the V&A and the Imperial War Museum. Details of a vicious attack on a Leeds United fan, who was beaten and kicked as he tried to escape three men have just been released by police. Officers want to speak to these men about it, do you know them? It happened last month at Halifax train station when the man, who's in his 20s and was wearing a Leeds scarf, got off a train after being at a Leeds game. As he was heading for the exit the men shouted “Leeds Scum” at him and he was punched in the face. He stumbled down the stairs and made his way to a waiting room. The three men followed him in and punched him again - he fell to the floor and they kicked him multiple times until he managed to struggle free . He made it out of the station but was then attacked for a third time by the men. It appears that the victim was targeted because of the football team he supports. The mindless and unnecessary violence that followed was shocking. Plans have been announced to create a high quality piece of public art which celebrates the mining heritage of Doncaster. The council says artist Laurence Edwards has been commissioned to devise the artwork which will represent Doncaster’s former mining communities and what mining meant to the whole borough. The whole community needs to tell us what they think of the idea and what they'd like to see. Their involvement in fundraising for the project is also important." The killing of a teenager from Leeds had "all the hallmarks of a gangland shooting", a jury has been told. Raheem Wilks, 19, was shot close to Too Sharps barbers in Harehills on 26 January. He was shot once through his heart from the back as he "passed the time of day" according to the prosecution who referred to the trial as a joint enterprise case. Five men are on trial for the murder of Raheem Wilks, today was the opening day.